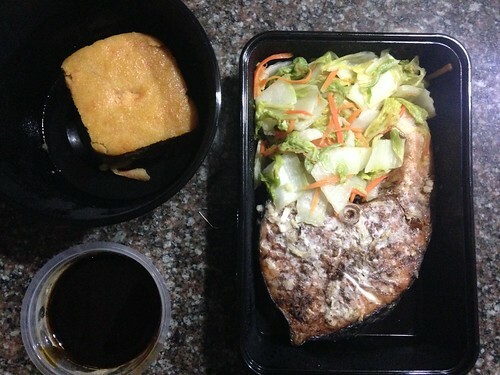 Encouraged by my friends who have done the Paleo diet (on their own) and lost tons of weight, I signed up for Paleo Manila. It’s 650/day + delivery fee to my area. During sign up I indicates that I don’t eat pork. I’m not that strict about this (I eat bacon if it’s already in my food hehe) but I do stay away from pork in its purest form (lechon, porkchop, etc). However this food preference requires an P1000 fee. This would make the entire thing way more expensive. So I asked them just to keep it the same so I don’t have to pay extra. Coordination has been quick and easy. The food arrived on time today, right at the crack of dawn. I was pleasantly surprised to see that they upheld my no pork preference anyway. Great service. 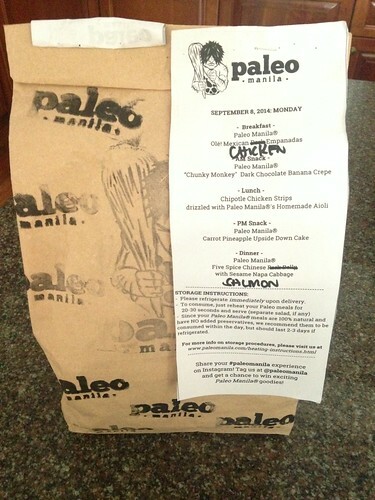 Thanks Paleo Manila, you guys are awesome!!! Just for clarification purposes, I’m a veteran to diet meal delivery. 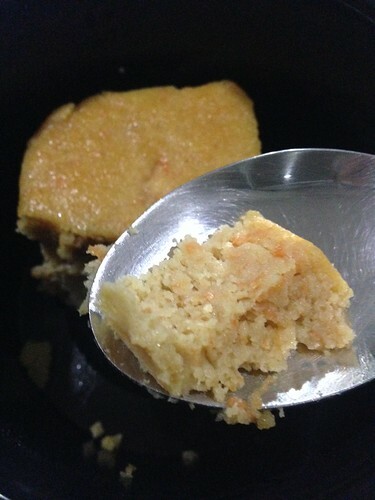 So I judge the food very loosely based on taste, quality after reheating and results. I’ll reserve those comments until after I’m done with my 5days. In the meantime here are the food photos. I apologize because the photos are not professional so the food does not look that fancy. But believe me, the food is good. Don’t judge a book by its cover. 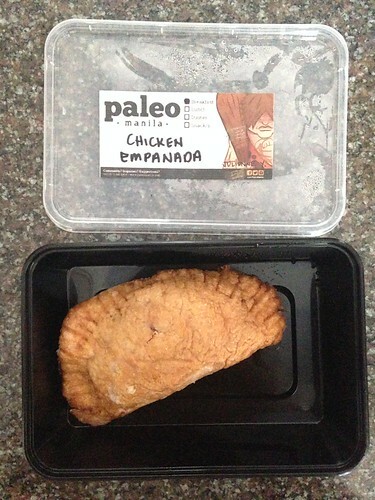 Closeup of my empanada. This was very tasty. 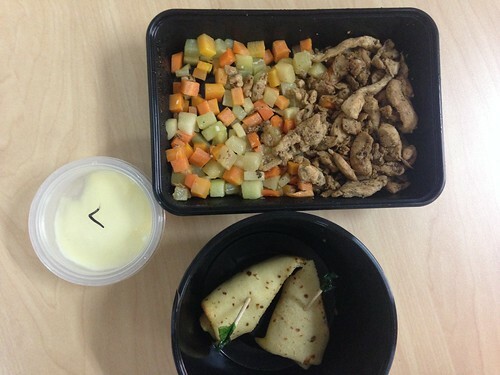 Lunch: Chipotle Chicken Strips drizzled with Paleo Manila homemade aioli – I ate this without the aioli. it was so delicious, the aioli was not needed. A closeup of my cake. I took this picture because I was curious about what was in it. It was more of a bread than a cake. – food was all very delicious!! oh my goodness. I was very surprised. 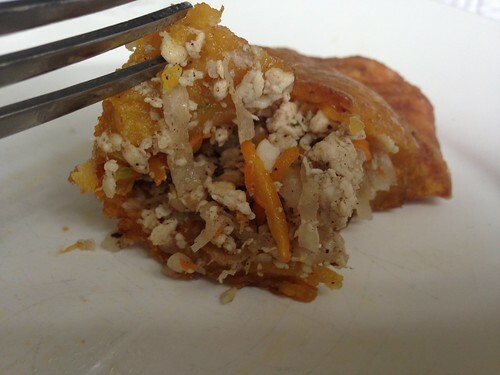 with the exception of the pineapple carrot cake, they do not scrimp on taste. Two thumbs up from me. – I should not eat the snacks as dessert because this leaves me hungry between meals. thanks for sharing 🙂 but more than that, its really nice reading your blogs once again…. i kept checking this, after i read your mom’s OMB. But perhaps you were really busy the past few months juggling between school and work! CONGRATULATIONS! You did a great job in ateneo 🙂 I can feel your parents’ pride and joy, esp when OMB wrote about it in OMB! Whew! I dont know how to feel though after seeing your picture with your ‘date’! Urghhh, that feeling when parents feel like letting go of their kids to get married 🙁 haha! I wish you everything nice and beautiful!